We woke up early on day 2 in Paris, and made our way to the Gare Montparnasse http://parisbytrain.com/gare-montparnasse-photo-tour/. 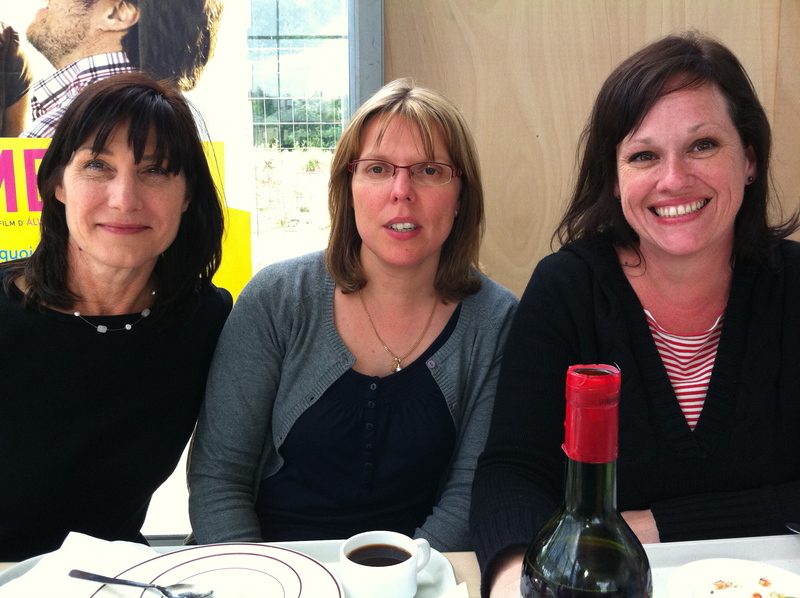 We boarded a train to Chartres, and less than an hour later we were greeted by my French teacher friends, Christine and Odile. They gave us a little tour of the town, including a history lesson about and a visit of the Cathédrale de Chartres. 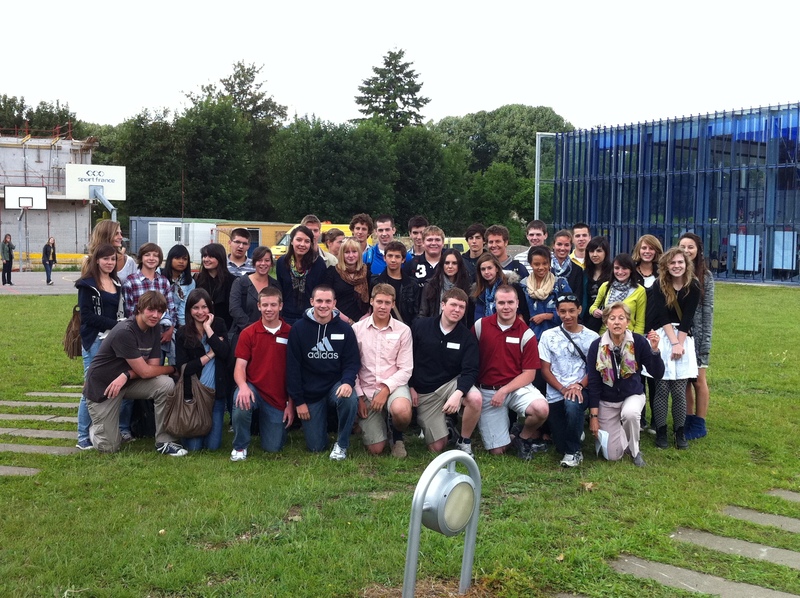 Around 10:00 we went to the school where my American students were each partnered up with a French student. The exchange was simple enough, since many of the Chartres kids had been to our school the previous October. Students and teachers were so kind to all of us. During the day, we were invited to their cafeteria where we all were treated to a pretty tasty three-course meal. We teachers even had bottles of wine on the table to enjoy. During the day, some of the kids had free time (no scheduled classes). While they weren’t in class, their English/American Club had a meeting. What a blast! They put on American music and for about an hour there were 50 or so American and French kids all line dancing together. The French kids were much better at it than my students! That evening, we were invited to stay for a barbeque at the school. It was certainly one of the highlights of the trip. We took the train back to Paris, and were back at the hotel by midnight. Stay tuned to “Paris, Je t’aime (Part 4)” for a trip to Versailles and Pigalle! It’s so much fun 🙂 Definitely one of the highlights of summer for me!